Enjoy the quest to view for the elusive platypus and capture the timeless ambience of Tasmania’s bush. Listen to the afternoon sounds of the bush chorus from nearby birds, enjoy a campfire dinner and a nocturnal walk in the forest to see and hear the brushtail & ringtail possums, pademelon & Bennett’s wallabies and bettongs go about their nightly business. A day in the Tasmanian wilderness to pursue the monotreme double in platypus and echidna, travel to the far north east corner of Tasmania to the Mt William National Park. Take a stroll on the stunning white beaches in the Bay of Fires region, lunch with the Bennett’s wallabies and see the resident wildlife in the area. The Forester kangaroo and the wombat are just a couple of the inhabitants who share this coastal National Park with over one hundred species of birdlife. 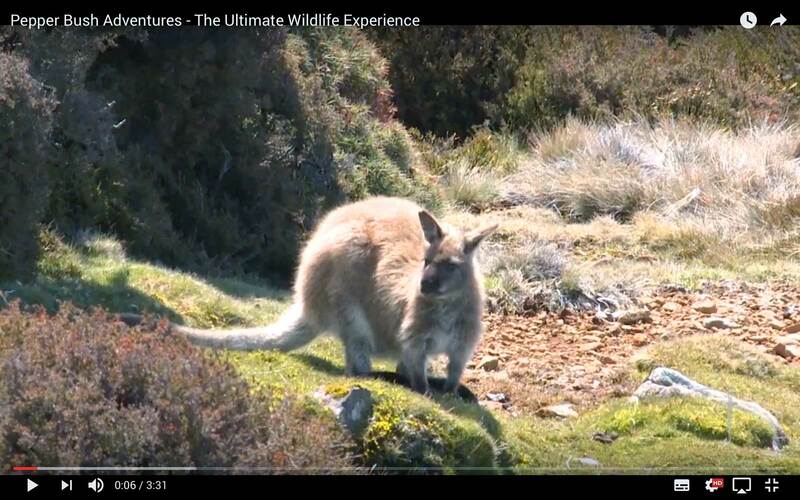 Premium Australian wildlife tour – a day in the highland areas of north east Tasmania. Depart Scottsdale for Ben Lomond National Park, a spectacular mountain of dolerite columns and scree slopes. Impressive views and a magnificent array of alpine vegetation are on offer. From Tasmanian Parks & Wildlife, “The Ben Lomond National Park is invaluable for the conservation of the flora communities and species diversity of Tasmania’s alpine areas. The area consists of an outstanding variety of glacial and periglacial features which are considered of national significance”. After a picnic lunch we travel to the Tyne Valley for a campfire dinner with the forester kangaroos. Relax by the camp fire with a glass of Tasmanian wine or beer and see our field of dreams comes alive with eastern quolls, brush-tail possums & Tasmanian pademelons visiting the camp fire while Bennett’s wallaby and wombats graze close-by.